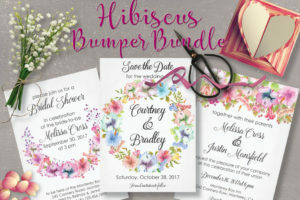 Pretty Hydrangea blooms in watercolor: 9 pre-made clip art items, 6 patterns and 26 elements. These hand painted pastel Hydrangeas are very realistic in their detail! The colors are in pink, lilac, purple and mauve. Other soft, pastel flowers have been added to complement the Hydrangeas. The listing is for 9 pre-made watercolor clip art items, 6 patterns and 26 individual watercolor elements, so that you can create your own designs! 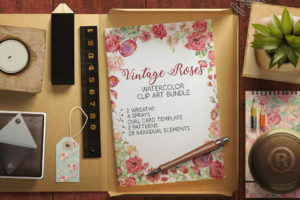 Perfect for wedding and other stationery, as well as labels, logos, scrapbooking, decoupage and all paper-based crafts. The JPEG pattern files have a color background. Spray 2 measures 8 X 4.5 inches (2400 X 1350 pixels). Spray 3 measures 6.5 X 4 inches (1950 X 1200 pixels). Spray 4 measures 7 X 4.5 inches (2100 X 1350 pixels). Spray 5 measures 8 X 4 inches (2400 X 1200 pixels). For example, individual flowers measure 3.6 X 3.6 inches. Clusters measure 2.4 X 4.2 inches. Leaf branches measure 2.0 X 2.8 inches. Folder 1 contains the 26 individual elements (PNG) – 26 files. Folder 2 contains the 6 patterns (JPEG and PNG) – 12 files. Folder 3 contains the 5 sprays (JPEG and PNG) – 10 files. Folder 4 contains the 4 wreaths (JPEG and PNG) – 8 files. 56 files in total. All files are clearly marked.